Bill was a member of the U. S. State Department Advisory Working Group on Religious Freedom and Vice-chair of the Board of Directors of the Institute for Religion and Public Policy, an organisation that seeks to encourage open dialogue and shape public participation in policy of the global community of faith. Our chairman, attn. 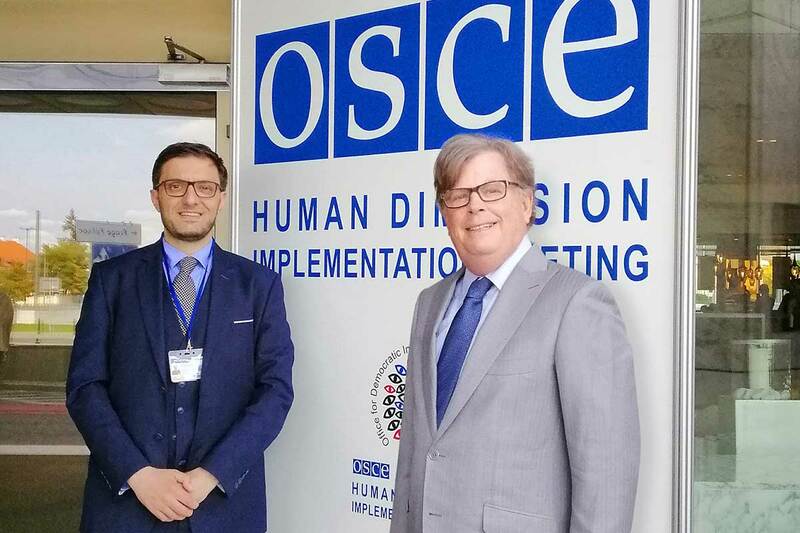 Amicarelli, last saw Bill Walsh on the 11th-14th of September at the OSCE ODIHR Human Dimension Implementation Meeting 2018 in Warsaw, where they could discuss some current legal cases regarding religious persecution in the world. Bill will be missed by many but indeed his work and achievements in the Courts of Law and his uttermost passion will be of inspiration and guidance for new generations of human rights lawyers internationally. Our Federation commend and praise his great efforts and work for improving Freedom of Religion and Belief in the world that must and will be continued. We express our sincere condolences to his family and his colleagues in DC.